Christmas is indeed a great season to reconnect with relatives and friends. Of course, the best get togethers are always celebrated along with a bountiful feast! 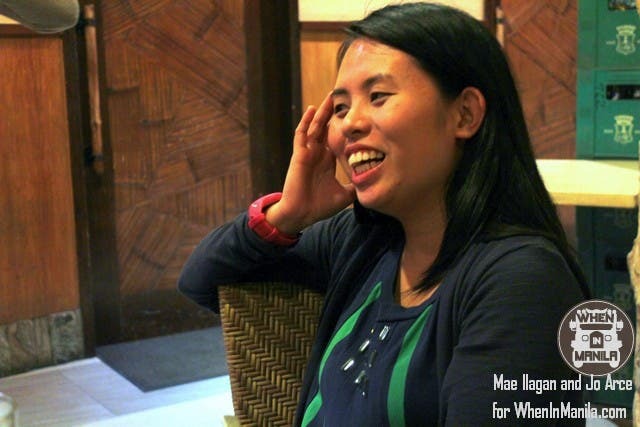 Last week, I felt thankful that I got to hangout with some of my fellow writers from WhenInManila.com at Kabisera Ng Dencio’s located along Bonifacio High Street! 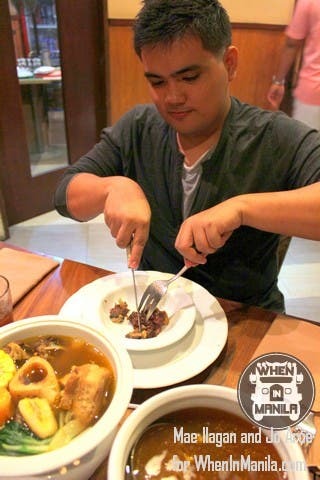 For the night’s “degustation”, our table was filled with well-loved Filipino favorites Kabisera Ng Dencio’s style! 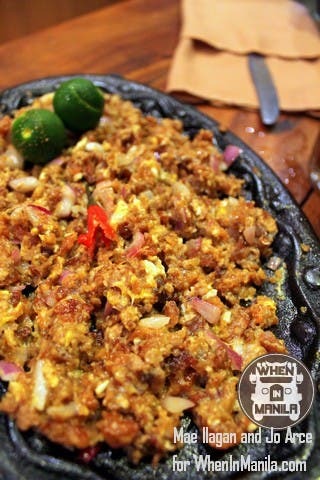 Like many of us, I’ve been a huge Dencio’s Sisig fan for many years and that night, I was so thrilled to try and discover more of their down right delicious dishes! 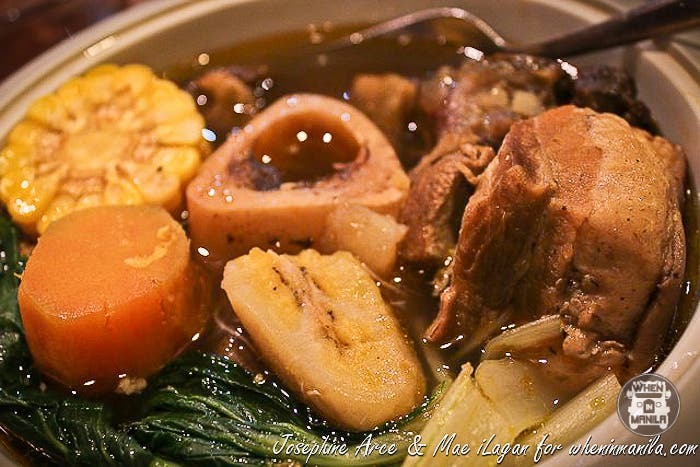 – An upgraded version of the Bulalo by Kabisera ng Dencio’s! Comes with ultra fork-tender meats and a sweet kick of ginger! 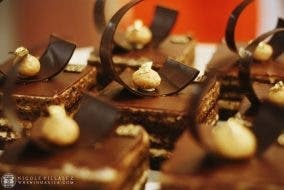 A true palate pleaser! Mark was super impressed with the meat’s tenderness as well! – Thank God I’m now a veggie eater! When I heard its name, I started singing “Bahay Kubo” in my head! The veggies were “al dente” and naturally sweet without any bitter aftertastes. This version of the classic Pinakbet is a sure winner! 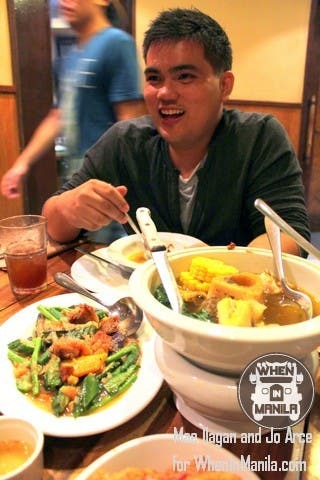 here’s Mark again, expressing his happiness with the Pinakbet! – Big in both size and flavor! Boneless indeed! 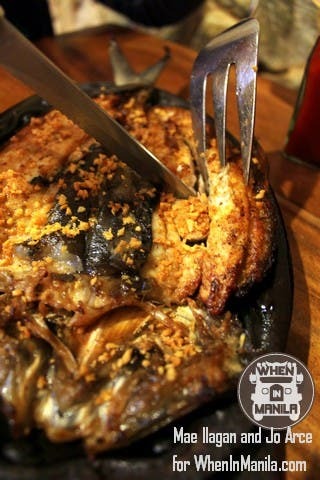 – Every Dencio’s Experience ain’t complete without its signature sisig! Still a legend! 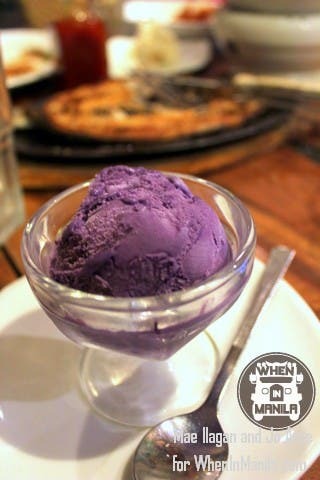 – for our sweet ending, my favorite ube ice cream! Now we go to the main event!!! Arrrrrree yoooooooo rrrrrrrreeeaaaaaaddddyyyy???? After fueling our tummies with deliriously delicious food by Kabisera Ng Dencio’s, it was time for us to drink and be merry! 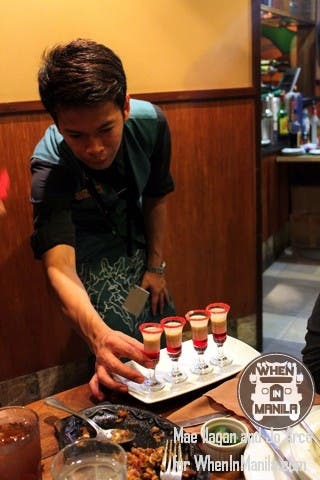 For a change, we decided to pass with the usual booze and went for the Christmas-y holiday shooters of Kabisera Ng Dencio’s! 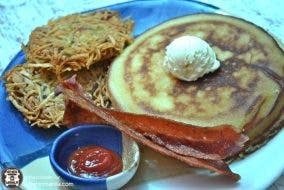 Kabisera Ng Dencio’s came up with 4 unique concoctions to perk and warm you up this December! That night, we were lucky to have the opportunity to taste them first! 1. Merry Irishman – simple, smooth and delightful. 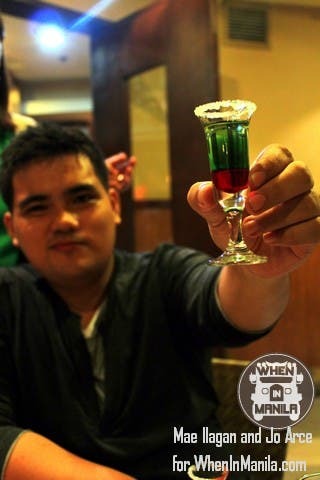 It has Irish Whiskey, coffee liqueur on a shot glass rimmed with sugar and mint! 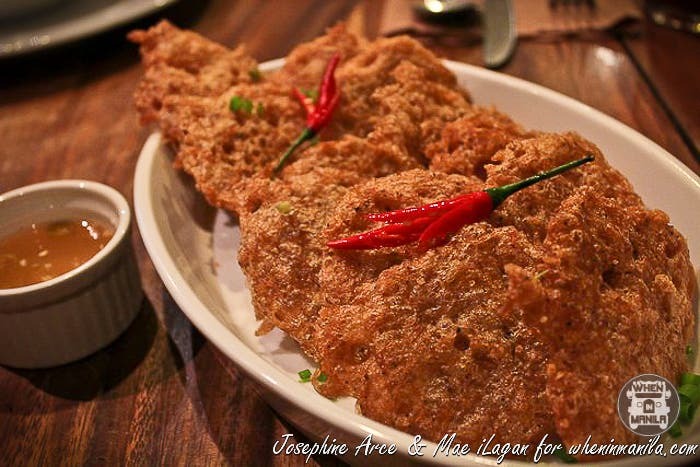 When in Manila Managing Editor Angeline liked it a lot too! 2. 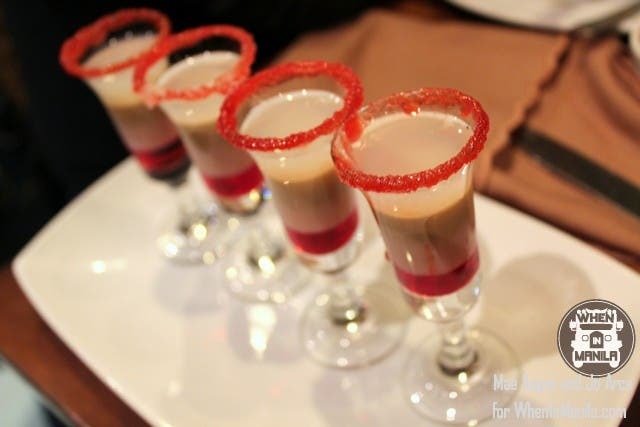 Candy Cane Shot: smooth an creamy minty drink with a sweet ending! Candy in liquid form! I believe I need more!!!! Mark obviously can’t get enough of it! WIM writer Josephine feeling tipsy! 3. Santa’s Shot : I bet Santa will surely love this one as well! Fill yourself with the Christmas “spirit” as you drink waves and lovely layers of candy tasting liqueur! Mark as he shares the “spirit” of Christmas! 4. Christmas Joy: Behold! The Joy of the Yuletide season has arrived! It has a festive medley of Bailey’s, vodka, Tequila Rose and grenadine that will surely put a smile on your face after each shot! Sir Eugene, the Master Barista of Kabisera Ng Dencio’s! 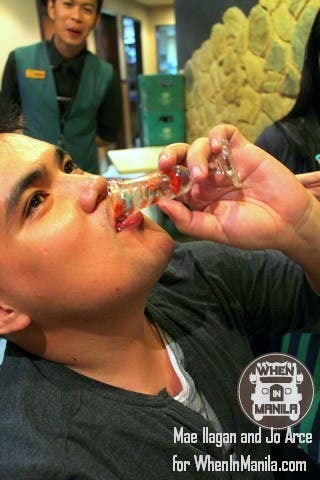 Christmas Joy: Voted best tasting shooter of the night!! Our usual gathering turned out to be an epic one, thanks to the fabulous Christmas-y holiday shooters of Kabisera ng Dencio’s! I can’t wait to invite my other friends over! 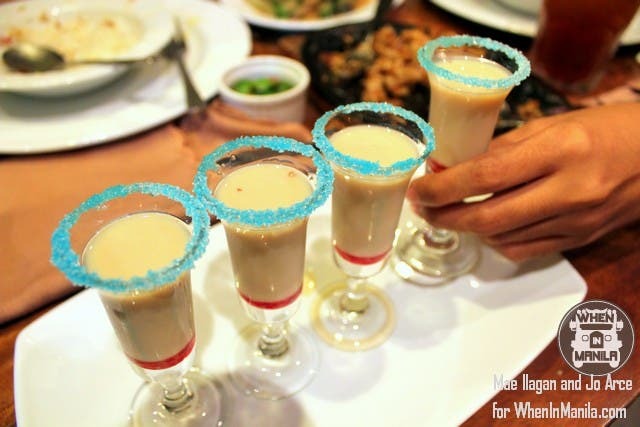 The Christmas shooters of Kabisera ng Dencio’s are priced at P 169.00 (good for two of the same variant)and will only be available from December 17, 2013- January 17, 2014!! 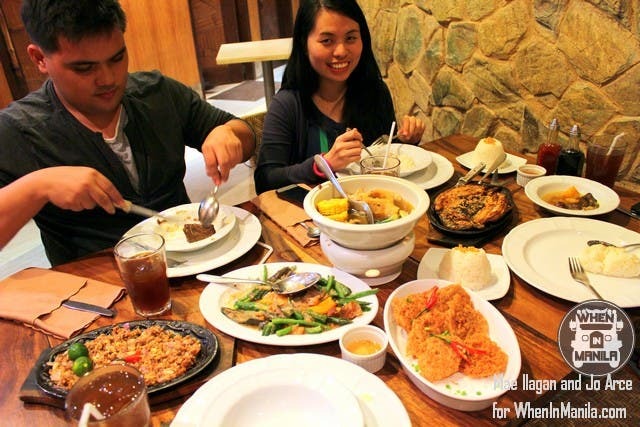 And because WhenInManila.com and Kabisera ng Dencio’s would like you to have an extra special Christmas this year, we’ll be giving out 3 sets of family/barkada feasts (good for 4) with a set of holiday shooters to 3 lucky winners! Remember the dishes we showed you a while ago? If you win our contest, you’ll get to try them all with your loved ones! JOIN NOW! Winners will be announced on Friday!